Exit devices and panic bars. Securing a commercial property is considered as one of the most essential aspects of managing or owning a company. Whether you’re searching to repair existing locks, add a full security lock systems or install better clocks, a commercial locksmith will help you in every step of the way. Our professionals have the experience necessary to ensure your building is as safe as possible even from the moment you close and lock it up for the night. Aside from helping you secure your commercial property, we also offer an emergency response locksmith to help you get in the doors if somebody has lost their keys accidentally. Our commercial locksmiths know that opening a company in the morning is crucial so we will get out there to facilitate you in unlocking doors in this kind of emergency situation instantly. Aside from helping someone to open doors for you or installing locks, our commercial locksmith will help you set up a security plan that will keep your business safe. We know different kinds of automated security systems, cameras, and much more so you will know that your building is much secure even when you are not there. Our team is composed of experienced and highly qualified locksmiths in MD. 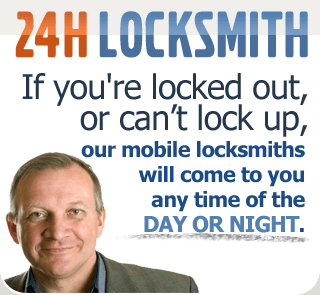 So, regardless of your preferred commercial locksmith service, expect that we are the best for your needs. We are knowledgeable of the different lock and security systems. There’s no job too big or small for us. Our main goal is to discuss security with clients and provide them all the information possible so they could make a wise decision. We always wish to ensure you’ll get the best and right system that’s based on your needs. We know that customer service is important in any company. That is why we have a team of customer service representatives who will answer all your concerns in no time. With this, expect nothing but peace of mind when reaching us. Once you require a commercial locksmith immediately, we’ll have someone to help you the soonest time possible. Our locksmith is always ready anytime to help you with the situation you are facing. If you want to upgrade your lock or wish to evaluate your commercial property’s security systems, never hesitate to call a commercial locksmith and get the help you need right away!